When studying the effect of seismic events the development of landslides and mud flows in Central Asia, special attention has to be spent to the influence of deep earthquakes from the Pamir-Hindu Kush zone. 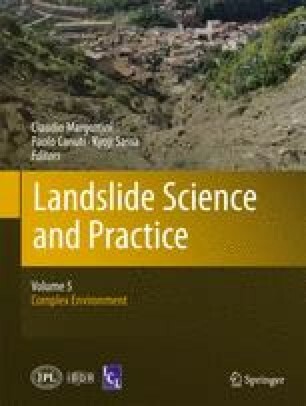 A preliminary comparative analysis of the synchronicity in time of Pamir-Hindu Kush earthquakes and the dates of formation of large landslides during the period from 1969 to 2011 showed that more than 100 cases of landslides in the south of Kyrgyzstan, Uzbekistan and Tajikistan could be attributed to effects of those deep and far earthquakes. These earthquakes in Central Asia caused low-frequency (1–5 Hz) prolonged (2–3 min) ground motions able to trigger processes of compaction, liquefaction and displacement of loess soils on moist slopes in spring time. Several examples of the combined effect of two spatial factors – precipitation and earthquakes on the time, place and mechanism of landslides, which occurred in last years in Central Asia, are presented in this paper.